Last post I explained how I use Trello to keep track of my fabric stash. So, I use it not only for fabric, but also to organize my sewing projects as a whole, from the idea to the blog post at the end. Today I’m telling you more about the features in Trello that help me with this process, including my personal favorites: card deadlines and the calendar view. In general, I get inspired either by a piece of fabric or by a specific pattern. When I start with the fabric, it’s easy: I use the corresponding Trello card to take notes on the project I want to use it for (which pattern, what details…). Sometimes though I get a specific idea of something I want to make but I don’t have the fabric for it yet. What to do with these fabric-less projects? For the moment my stash is so full that I’m trying to focus on projects that don’t require me to buy even more fabric. 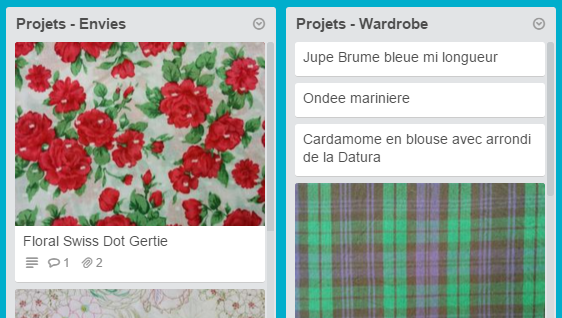 That said I have a few projects in mind that I don’t have fabric for: a breton-style Ondee sweater in striped jersey, a dress in toile de Jouy… For now I’m putting cards for these projects in my Fabric board, in the corresponding categories (Wardrobe, Want, etc.). One good system might be to have another board for Projects and fill it with cards for each pattern+fabric association. By attaching to each project-card a link to the card corresponding to the fabric (and one for the pattern card, but we’ll see that later) everything should be well organized. As the deadline approaches, the date changes color: yellow means there’s less than 24 hours left, and red means it’s passed already! 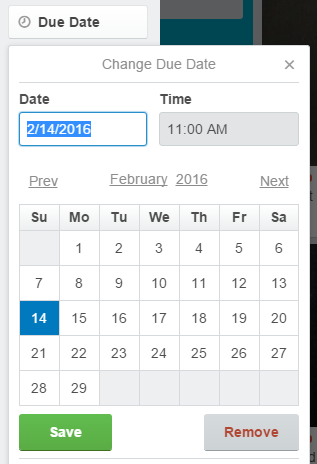 Deadlines are also the key to my favorite Trello functionality: the calendar view. It is kind of hidden: to use it you have to activate it first. You can find it in the “Power-Ups” menu of the board. 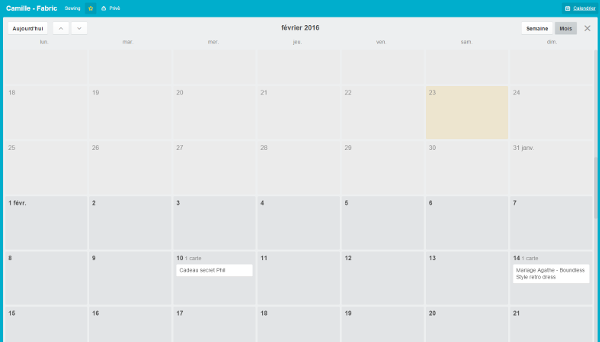 Once activated, the Calendar button will show up on the top right side of the board. It shows all the cards that have a due date, month by month: super useful to have an overview of sewing deadlines! Once a project is done, you can remove the due date and archive the card. Instead of doing this, I like to keep it around a bit longer, until I post about the garment here! I have a lot of projects that I still need to take pictures of and post, and it’s getting a bit overwhelming to keep track of everything, so I’m also using Trello to try to get a hold of pictures and blog posts. For this, I use another board: Blog. 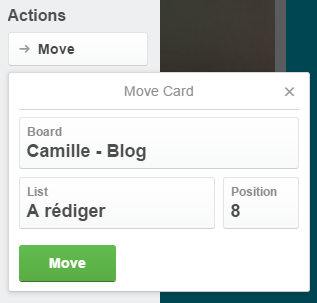 Once a project is done, I click on “Move” to transfer the card to this second board. You just have to pick the board and the list – I have three: To write, In progress and Published. One feature I use on this board, though, is checklists. I have two that I copy on each card and allow me to not forget anything: one to prepare blog posts, and one to share them on social media. This way I have cards in a list in a card, and those cards can themselves contain anything. Card-ception. Perfect. 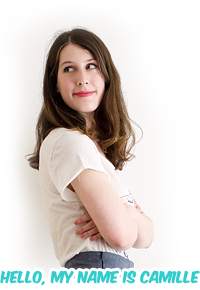 Very shortly after seeing your first post in this series, I’ve started organising my sewing in Trello, and just wanted to shoot you a heartfelt THANK YOU for sharing. My system is still developing, and is quite a bit different from your’s so far, but it’s already come in super useful. I’m also hoping to get some statistics out of it as I track my projects and can add labels for levels of success easily, and search for those later. In short, I”m loving it! Thank you, now I’m addicted to Trello. I had tried using it a while ago but couldn’t make sense of their instructions. Your way of setting out what you can do with this handy little app just makes so much sense!! I’m now organizing fabric stashes, sewing patterns, knitting patterns, wool stash, menus, blog posts, work, holidays, it just keeps going… and now there’s a calendar!!! I’m actually a bit excited to try it out!